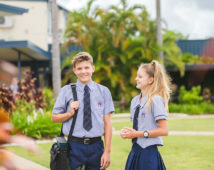 Our students can expect a caring and safe environment, enhancing of an education that develops strength in themselves, as well as their studies. 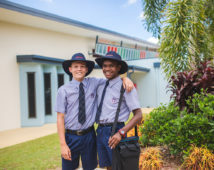 At Emmaus College we hold the belief that respect is an essential element of any community and in the classroom this means that all should respect the teacher’s right to teach and a student’s right to learn. The Responsible Thinking Process (RTP) is consistent with the Catholic mission of the College, and focused on respecting the dignity of each person by acting in a just manner. 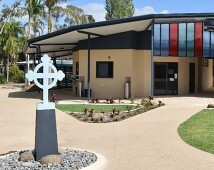 The aim of pastoral care for the Aboriginal and Torres Strait Islander student is to acknowledge theuniqueness that these students bring to the College. 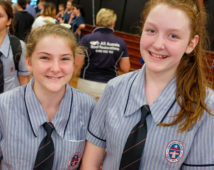 Students are encouraged to embrace their Indigenous culture and share this knowledge within the school community. The school counselling service operates from Emmaus and our feeder schools – St Anthony’s, St Mary’s and St Joseph’s. Our service offers individuals, parents and their families counselling support.